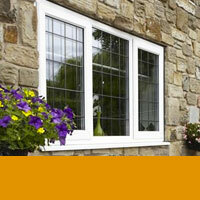 We offer an outstanding range of double glazing for all homes throughout Abergavenny. Premium products, expertly installed. Our exceptional collection of double glazing includes high-grade aluminium and robust uPVC systems. We also offer a range of composite doors, which feature an intelligent combination of materials to guarantee quality. We manufacture double glazing to the highest standards, utilising the latest innovative manufacturing processes and double glazing technologies to enhance the performance and comfort of your home. In our fifteen years of operation, we have continuously strived towards overwhelming new solutions for your double glazing in Abergavenny, benefitting from the insight of experts and by listening to our customers. Our products achieve incredibly beautiful aesthetics, undertaking rigorous checks and hand finishing procedures during fabrication. This level of detail ensures your double glazing will excel across the board. These innovative products are able to achieve fantastic windows energy ratings, using a thermally-efficient profile and energy-efficient glass to enhance performance. You’ll be able to enjoy a warmer and more comfortable home. Our double glazing is highly-secure, meaning homes in Abergavenny shall stay safe and secure behind new double glazing. It’s never been easier to enjoy complete peace of mind. Our double glazing is fitted with high-security locking devices to offer impressive security levels. We offer other incredible hardware to allow you to achieve bespoke appearance and improved security throughout. Our aluminium double glazing is Secured by Design accredited, achieving outstanding levels of security. This means that they have undergone a stringent testing process to measure their competence in crime prevention. From a full range of aluminium, uPVC and composite double glazing, we offer a variety of bespoke designs, with high performance to complement this. You’re sure to find the perfect style to suit your home. We offer double glazed windows in uPVC and aluminium, and double glazed doors in all three varieties, uPVC, aluminium and composite. We offer designs that will suit both modern and tradiitonal homes alike. Our double glazing excels in weather and corrosion resistance, with an innately low maintenance profile and high-quality finished coating. This eliminates draughts and water ingress throughout. Composite doors contain a Glass Reinforced Plastic coating, which ensures doors remain attractive and high-performance, withstanding even the worst of British weather. This also makes them highly resistant to scratches and marks. Our double glazing products are beautifully bespoke, ranging from high-quality uPVC sash windows, to aluminium French doors. We promise a unique option for every Abergavenny resident. Surpassing the dated performance of their counterparts in timber, our premium profile designs offer outstanding thermal-efficiency. Our high-quality uPVC and aluminium frames are constructed using a thermally-broken chambered design. Our uPVC double glazing is innately thermally-efficiency, offering great heat retention qualities. Meanwhile, we use a polyamide thermal insert to enhance the thermal-efficiency of our aluminium range. Composite doors are highly-thermally efficient due to their uPVC and timber composition, whilst a polyurethane thermally-insulated core increases energy performance. 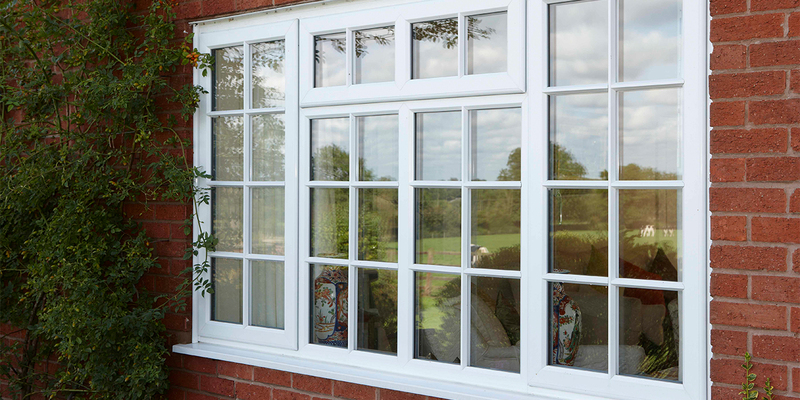 Here at Monmouthshire Windows, we provide market-leading double glazing, utilising the inherent strengths of a precision-engineered profile. You’ll be able to enjoy market-leading standards of quality. We only work with the leading manufacturers in the industry to ensure this high-quality remains consistent throughout our service. Thus, we offer high-quality, competitive uPVC, aluminium and composite double glazing. Our composite doors are manufactured from an innovative mixed profile from Door-Stop, utilising the strongest, eco-friendly materials available to produce high-quality doors. Smart Aluminium are responsible for producing our magnificent aluminium profiles, featuring innovative attributes including a polyamide thermal break and sleek, easy fit design. Finally, a 100% recyclable uPVC profile is provided by REHAU, reaping environmentally-friendly benefits while maintaining high-standards of performance. We also offer a beautiful conservatory range, including aluminium orangeries, as well as aluminium roof lanterns. These options allow you to extend your home with premium quality in a cost-effective way. 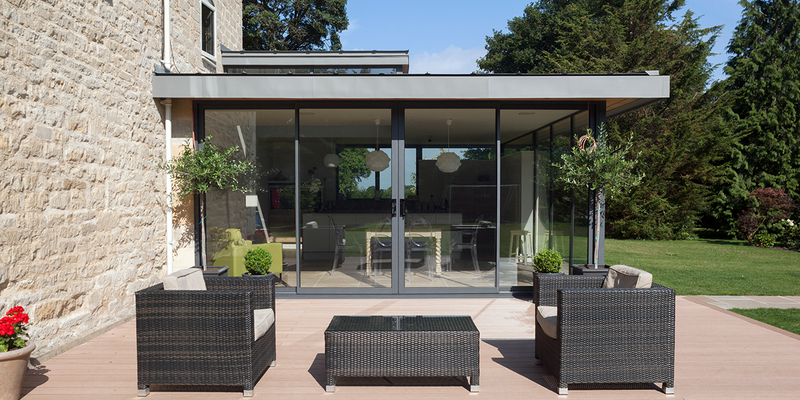 Our aluminium double glazing provides stylish aesthetics with reduced sightlines and beautiful appearance. Slim sightlines allow light to flood into your property or extension, hence our roof lanterns are second to none. Highly energy-efficient glass and thermally-efficient frames allow double glazing to retain heat inside a home for longer periods of time, having great impacts on household energy bills. Our exceptional double glazing is an extremely cost-effective alternative to moving home, and will add value to your property when you do feel ready to sell your home. Our products simply offer you more. Monmouthshire Windows has been in operation for over fifteen years, having installed thousands of windows and doors to happy homeowners in Abergavenny. You won’t have to settle for less. We offer long-lasting, sustainable solutions for your double glazing, ensuring you benefit from incredible service. Your home shall be thoroughly secure, thermally-efficient, and exude style throughout. Here at Monmouthshire Windows, we offer a bespoke service. We have a very unique online quoting engine where you can tailor your double glazing to your specifications. We offer highly-competitive prices. Contact us via our contact page if you have any further questions. We’ll quickly respond to your enquiry.